Arriving in London last month, I had the good surprise to find that my parcel was there, waiting for me! I love this picture I took in Portobello Road. Inspiring colors, aren't they? I am crazy about those small houses! 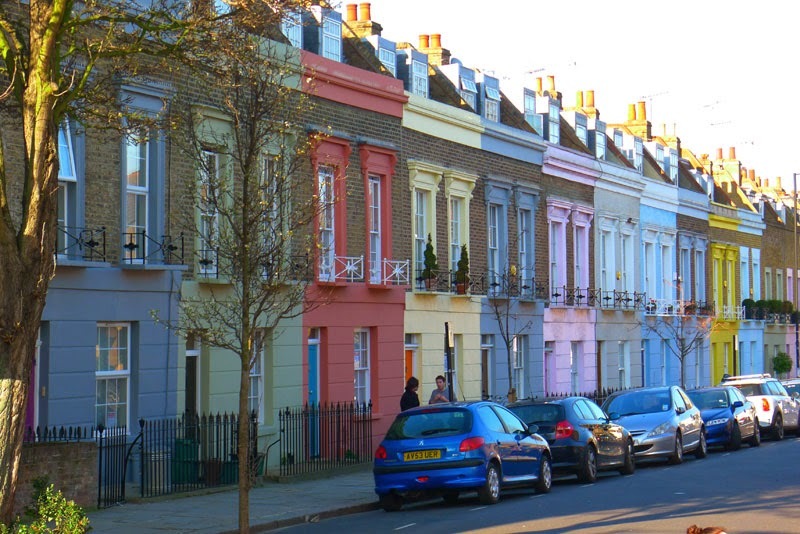 This street belongs to Notting Hill Gate district - London. There was shot this lovely film "Notting Hill", with Julia Roberts and Hugh Grant. In fact when you walk in London it's often like being in a film. Some places are so wonderful... a dream of a city!!! I wish a great day to everybody! They do look lovely. I will look forward to seeing them in more detail. I am interested in finding some vintage fabric. My answer to that question about what you're going to do with those quilts is this: Own them, love them, and take care of them, kind of like dogs but they don't need feeding or walking. At least that's my story! And London, yes, I agree it's a dream of a city. It's one of my all-time favorites. Lovely photo of London, and the colors compliment your quilts very well! Hello! I just found your blog and joined. "You had me at" your dismay at being asked what will you do with the doll quilts. 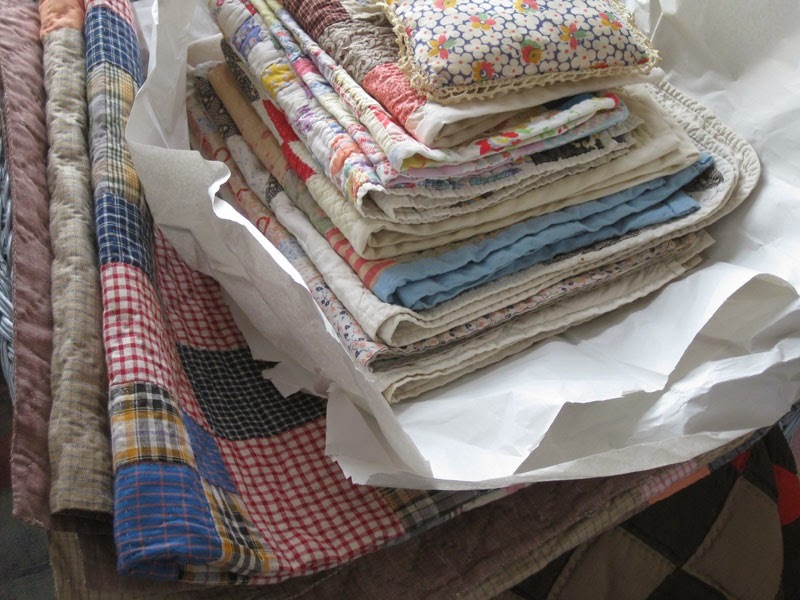 I have nearly 100 antique doll quilts. I love every one of them for just existing and being precious. That's reason enough! I'll look forward to seeing more pix of yours. The next time a non-quilter asks you that (because no quilter would, LOL), tell them to Google "Joanna S. Rose" or "Red & White Quilt Exhibit 2011". Enough said and a beautiful collection indeed! I saw the REd and white exhibit actually went into NYC twice during the week to see it. I am still to this day in awe of that collection of quilts. I can't thank Joanna Rose for collecting them and her husband for displaying them for the rest of the world to see for her birthday. 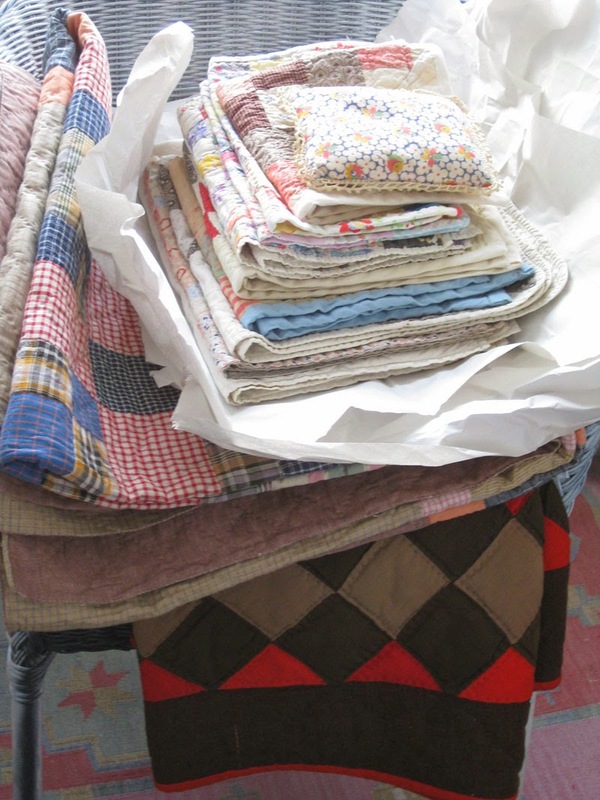 Ooh what a beautiful pile of antique doll quilts *sigh* I'm drooling over them.